Private tuition is growing rapidly in certain parts of the world, with nearly one in four 11-16 year olds in England and Wales (24%) receiving outside help with some subjects, according to a recent poll by the Sutton Trust. In London, this number is much higher, with 40% of students gaining extra tuition at some point during their schooling career. This is a list of private Art tutors who are available to help students fulfil their potential in high school Art qualifications, such as GCSE, IGCSE, A Level, IB, NCEA and AP Studio Art. These individuals and companies provide a range of tutoring services, including: detailed evaluations of artwork; guidance about developing ideas; general tips and recommendations to improve the quality of your work; advice about how to structure, organise and present your project; and specialised assistance in areas such as Fine Art / Painting and Related Media, Graphic Design, Digital Media, Photography and Sculpture. These tutors are based in many locations around the world and offer online tutoring via Skype or email, and/or face-to-face tutoring. Many have had their own work (or that of their students) featured upon the Student Art Guide and all express a commitment to providing professional, high quality Art tuition. NOTE: that these tutors have not been vetted or officially endorsed by the Student Art Guide. It is the responsibility of the user to carry out any necessary background checks before sharing contact details or hiring someone to be your tutor. If you are a high school student, it is strongly recommended that you seek advice from a parent or guardian before seeking the services of an Art tutor online. Art tutor rates are usually arranged individually between the tutor and tutee, with prices confirmed once details of the assistance required have been discussed. We have included approximate hourly rates beside each listing below in American dollars and sometimes local currency. Please contact the individual tutors directly for more information. If you are looking for art tutor jobs and would like to be included upon this list, please read our tutor submission guidelines below! Rodney Stratton has 10 years of teaching experience, working with Year 6 – Year 13 students at state and independent schools in New Zealand, the UK and Hong Kong. He is familiar with NCEA, AQA and CIE syllabuses and is currently head of the Art Department at Saint Kentigern College, Auckland. This A* IGCSE Art coursework project is by one of Rodney’s students. 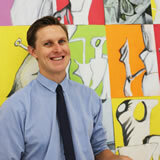 Rodney has a Graduate Diploma of Teaching (Secondary) and a Bachelor of Visual Arts from the University of Auckland. 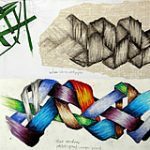 Rodney is available as an online Art tutor, specialising in CIE IGCSE, AS and A Level Art (with core strengths in Painting and Related Media). His tuition rate is USD$50 per hour. Please contact Rodney via email or visit his website for more information. 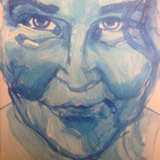 Amy Atkinson has been teaching Art in Secondary Schools for 10+ years, teaching IGCSE and IB in International Schools. She has an Honours BA in Art and Art History from the University of Toronto, Canada; a GradDipEd in Visual Arts from the University of Wollongong, Australia; and a MA in Education Leadership from USF, USA. Amy is also an IB Examiner. Artist Beatrice Bonafini has an MA in Painting from the Royal College of Art (Distinction), a BA in Fine Art from the Slade School of Art (1st Class Honours) and a Foundation Diploma from Chelsea College of Art and Design. 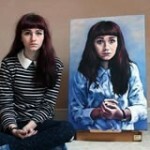 At high school she achieved a 7 (the maximum grade) for IB Art. Originally from Italy, Beatrice has lived in London for 7 years. 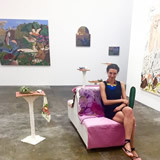 She has a good understanding of what the top art institutions look for in their students and can provide tutoring for portfolio preparation as well as interview practice, taking students on visits to the institutions of their choice as well as galleries in London, to prepare them for thinking critically about art making. Beatrice has a wide range of tutoring experience, teaching high school students as part of the Slate Widening Participation Summer Art Course, offered by University College London; the Outreach Program Art Workshop offered by Royal College of Art, and the Summer Public Art Workshops run by Pump House Gallery. 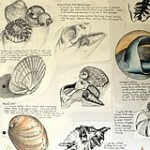 Beatrice offers private art tutoring; online and face-to-face. She can be contacted through her website or via email for more information. Emily So graduated from Carnegie Mellon University with a Bachelor of Fine Arts in 2012. She has been a professional artist since 2009 and worked for Disney Research as an artist for over a year. 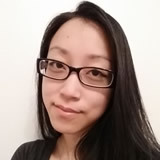 Emily is an experienced tutor, specializing in Adobe Photoshop, drawing / illustration, digital painting, video game graphics and 2D animation. She is experienced with AP Studio Art and helps students gain admission to magnet schools as well as prepare college application portfolios. Emily offers online tuition via Skype or Google Hangouts. Her tuition rate is USD$60 per hour. Please contact Emily via email or visit her website for more information. Erin Frye has 15 years of teaching experience within Breckenridge Community Schools. She teaches elementary, middle School and high school Art courses. 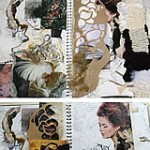 She currently works at Breckenridge High School, Michigan, USA (student artwork can be viewed on Artsonia). 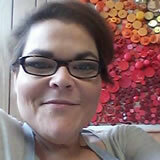 Erin is available for tutoring online via email or Skype, or in-person. Contact Erin via email or phone (989-842-3182 ext 426) for more information. 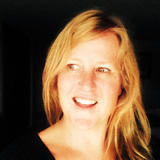 Irena Ellis has a BA in Art History/English from Masaryk University Brno and an Art and Design Teacher Degree MA from the University of Western Bohemia, Pilsen, Czech Republic. She has previously taught Art History, Art Techniques and Art and Design at Secondary Schools in CZ, lead the National Gallery Education department for two years and thereafter worked as a freelance artist/gallery educator in Czech Republic and the UK, working for DOX centre for contemporary art in Prague and Pilsen. Currently on a sabbatical, Irena is looking forward to tutoring individuals as well as home-schooling primary and secondary school students. 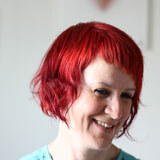 Jo York is an artist, teacher and consultant, with over twenty years of experience running creative workshops and Visual Art courses. She tutors diverse groups and individuals and works as an Art Education Consultant, supporting Art departments in schools and colleges. 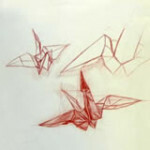 Jo has an Honours Degree in Illustration and a Post Graduate Certificate in Education, specialising in Art and Design. She is a former Head of Art. Based between Harrogate and Ripon in North Yorkshire, UK, Jo offers face-to-face tuition from her purpose-built studio and online tuition via email (Skype tutoring to be available soon). She specialises in Edexcel and AQA qualifications, working with AS and A2 Art students on a one to one basis, offering detailed advice and support on all aspects of their Art coursework and development. She also helps students with portfolio and interview preparation when applying for Foundation or Degree courses. Her tutoring rate is GBP £40 per hour – at the time of publishing this is approximately USD$62 per hour. Please contact Jo via email or view her website for more information. 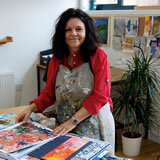 Julie Read has a BA (Honours) Fine Art Printmaking from Duncan of Jordanstone College of Art & Design (University of Dundee) and a Postgraduate Certification in Education for Further and Higher Education (PGCE) from the University of Strathclyde. She has nine years of experience teaching and interviewing at the Edinburgh College of Art and fifteen years of experience teaching and mentoring students, helping them successfully prepare for art college applications. Julie Read founded Portfolio Oomph in 2012, helping students gain admission to art school. Portfolio Oomph has a tutoring (mentoring) success rate of 100%, with some students receiving as many as 5 unconditional offers. 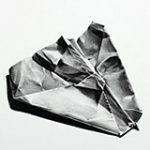 Tutoring has an emphasis on ideas and sketchbook development (as is necessary in all UK art and design courses) and is offered face-to-face from Edinburgh, UK, or online via email or Skype. The tuition rate is GBP £40 per hour (at the time of publishing, this is approximately USD $62 per hour). Please contact Julie via phone +44 (0)7815 810797, email or visit her website for more information. Natalie Parker has 6 years of teaching experience and is currently a high school Art teacher at Wellington College, New Zealand. 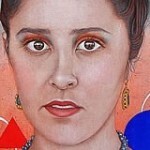 She has taught Junior Art, NCEA Levels 1 – 3 and Scholarship (Painting, Printmaking and Sculpture). Natalie has a Bachelor of Fine Arts (Major in Sculpture; Minor in Printmaking) and a Secondary School Postgraduate Teaching Diploma with Distinction. 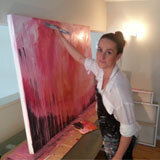 She is a practicing artist, with a specialty in painting. Online Art tuition is a great way for experienced teachers and high-achieving university students to offer their expertise from the comfort of their own home. Part time tutoring fits in and around irregular university hours or a teaching timetable and is an excellent activity for those on parental leave or those who wish to work from home. Tutoring jobs for college students have hourly pay rates that are often well above what would be achieved in other part time roles and allow students to work in the same field of study as their chosen area of study, making it an intellectually stimulating, rewarding and relevant role. For Art students who have graduated from university, face-to-face or online tutoring jobs can offer interaction and communication with others that may be missing when pursuing solitary creative endeavours. 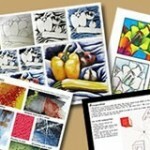 Committed to providing professional, high quality Art tuition. If a student: results gained in high school Art subjects, as well as any other related subjects (for example, an outstanding result in English can show excellent communication skills). Please use precise and clear names for qualifications and exact grades and/or percentages, if known. You may also include any details about any significant awards or prizes received. A contact email (and phone number with international calling code prefix if phone contact is desired). Attach an awesome photograph of yourself or your tutoring company. A clear photo goes a long way to reassuring viewers that you are not an unknown online tutoring entity, but a genuine human being who they can trust. This will be published as a small square: 160×160 pixels. To gain the best out of this listing, we recommend that you submit a Featured Art Project for us to share on the Student Art Guide, as this is one of the best ways to indicate your skill and experience with a particular qualification. Submitting a Featured Art Project is free and celebrates and promotes the achievement of students, while helping others learn in the process. We will link from your tutor listing to this page and vice versa. We do not list art tutor vacancies or ‘art tutor wanted’ ads at this time. 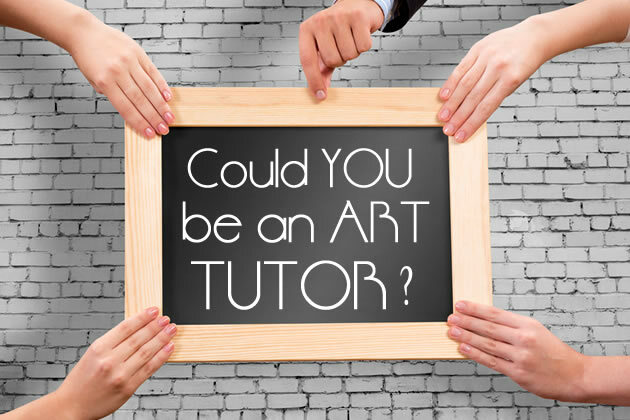 Know anyone who might benefit from this list…or who is considering becoming an Art tutor? Please share this with them using the social media buttons below!